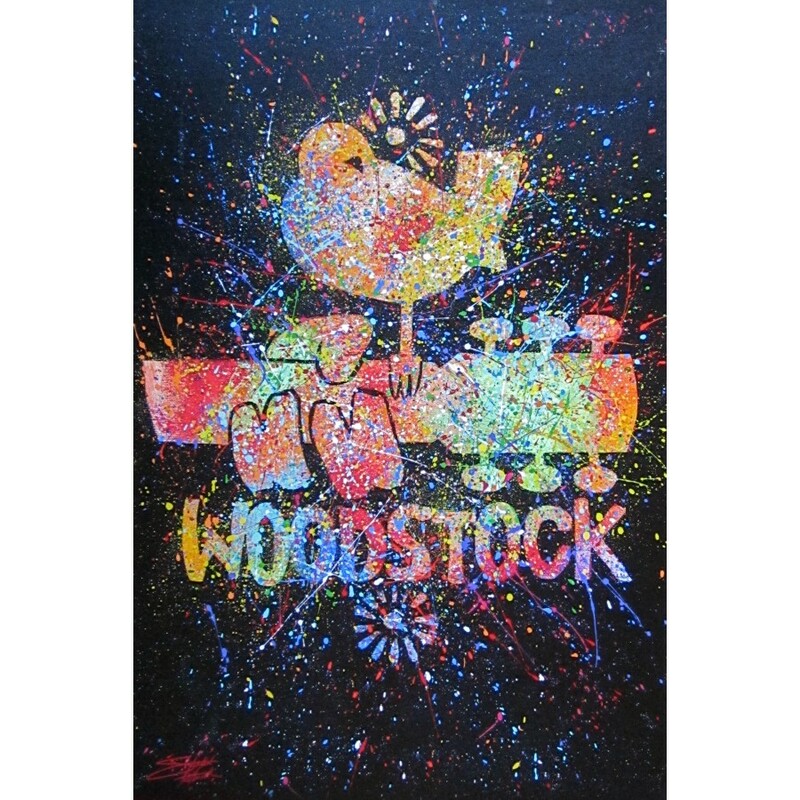 Iconic Woodstock Bird on Guitar Spatter Print on Canvas by renowned artist Stephen Fishwick. Stephen Fishwick’s ability to infuse color, movement, and sound into each of his paintings creates an aesthetic style all his own. His personal mission is to constantly push himself creatively and with over 20 years of artistic experience in the field of commercial art, it’s easy to see that Stephen has become a master of his craft.